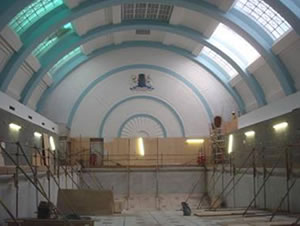 Concrete Renovations Ltd were recently awarded the concrete repair sub-contract package for restoration works to the Marshall Street swimming baths complex in the West end of London. 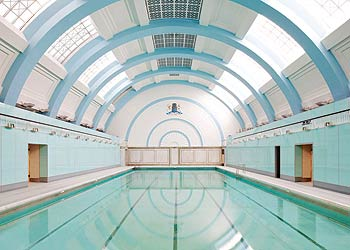 The total concrete repair package worth over £¼ million included both structural and cosmetic concrete repairs as well as anti-carbonation coatings, expansion joints and refinishing works. The concrete repairs were carried out using the Weber.tec concrete repair system including Weber.cem HB40 concrete repair mortar and Weber.cote smooth anticarbonation paint. The work is part of a £40million redevelopment and construction project to bring new homes and additional leisure facilities to the West End of London.